How To Remove Date From Blogger Post URL - XpertShout Yayın bulunmaktadır. 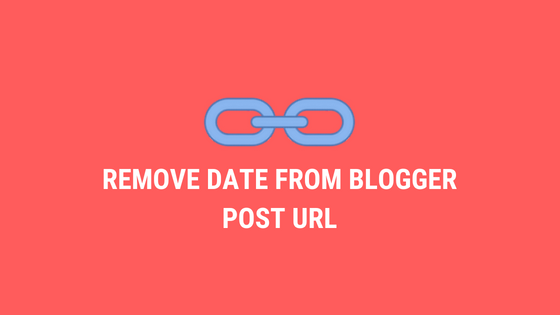 XpertShout is sharing how to remove date from blogger post URL. Blogger platform uses date in their post URL automatically. Bloggers want to get rid of date in blogger post URL. Because they don't like date in blogger post and want to remove date from blogger post URL. Their is no any other method in the world to remove date from blogger post. But toda i will share the mega script to remove date from blogger post URL. But it can be risky. What about risky, i will tell you at the end. Lets go for Remove date from blogger permalink. Let's remove date from blogger post URL But before I share it's good friend know the notion of permalink. Permalink is short for Permanent Link, this term is used to describe the URL of a web page like a static page and also a post page. Permalink itself appears automatically when we are making a new post on our blog, the form of permalink a unique ID that will appear when we create a post. An example of a unique ID is like this postID = NUMBER-UNIQUE-ID-POST which if the post we publish the unique code it will turn into the title of our blog post. For more details can check the image below. To remove date from blogger post url, simply follow the few steps carefully. Congrats! You have successfully remove date from blogger post URL. Then click the Save theme button and finish. You can check the permalink changes in your blog post. Will the Code Affect Our SEO Blog? Yes, maybe after adding the code above will have a negative impact on our blog which resulted in the decline of visitors and the quality of blogs in the eyes of search engines. The above code I do not recommend because basically the current default permalink is the best for bloggers, so we should still refer to the policies provided by Google to keep our blog safe especially if the blog using AdSense. But if a friend who does not attach importance to SEO and blogs look different from Blogspot in general there is no harm to try, think of it as a learning material for something new. Hope, This post about remove date from blogger post URL will help you a lot.